When I went to BritMums in June, I was lucky enough to meet up with the lovely ladies from Warner Bros. PR. They were promoting their latest DVD format – UV. We of the Mayfair household have since been lucky enough to try it for ourselves and I thought I’d share the experience with you all in time for the holidays. So what is UV? | Basically, if you buy a Warner Bros. DVD with a UV label, it means you can add the film to your UV account and then access it from up in the Cloud, to watch on any number of your favourite mobile media. All without using the actual DVD. The brilliance of UV is that the film, once added to your account, is always there, even when you’ve driven all the way up the A1 and unpacked to find you forgot to pop the kids’ titles in at the last minute – and your childless friends only have a spotless collection of 20th century art house films with which to amuse the children! So, as long as you have an internet connection, just log on to your account using your ipad, laptop, pc etc and there are all your UV titles – Tom & Jerry to the rescue! It’s a great idea even for those who don’t have kids – for all the young, free and single and DINKYs out there (Double Income No Kids Yet). You can find a great selection of more adult films in this format too – so you can watch a film in your hotel room without packing it in your hand luggage on that weekend away (thanks to the streaming option, you don’t even have to make sure your hotel room has wifi – just pack your ipad, ipod, laptop, kindle or other preferred format hardware!). How do I set up an account? | ;You’ll need to set up an account at http://www.uvvu.com. Once this is set up, you will be asked to set up or link to your existing NetFlix account. Once these two accounts are set up and linked, it is just a question of going to the dedicated web address for each of your DVDs (found inside the DVD box) and entering its unique code. This adds your film to your NetFlix library, from where it will remain available, no matter what happens to your DVD. 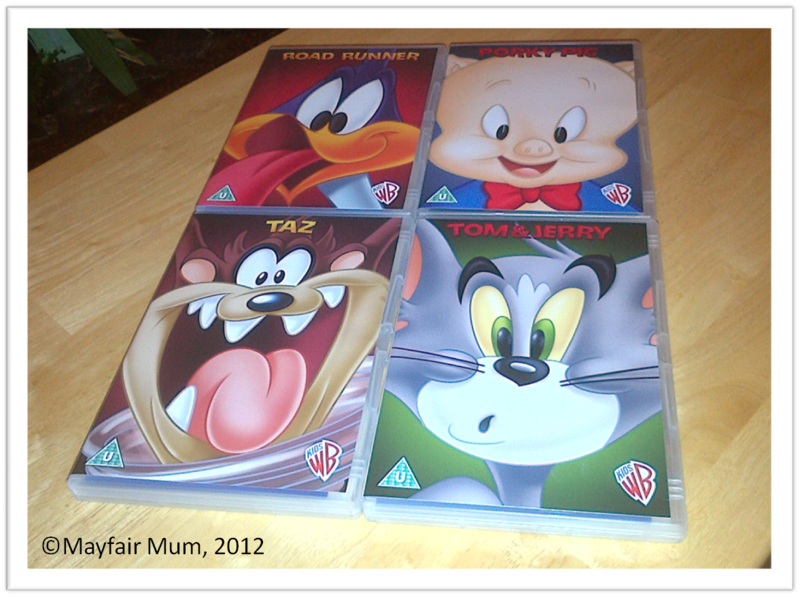 This entry was posted in Film Club, Reviews & Recommendations and tagged Brit Mums, digital, DVD, entertainment, kids, reviews, Tom & Jerry, travel, Ultraviolet, UV, Warner Bros. by Mayfair Mum. Bookmark the permalink.